The Bold Badge of the Elite Drunkard. Alerts bartenders that they need to restock pronto. 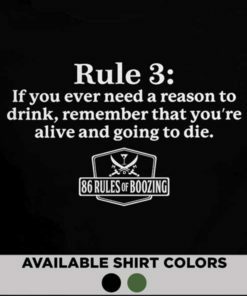 Rule 3: If you ever need a reason to drink, remember that you’re alive and going to die.